Brentwood Town claimed a slender 1-0 victory courtesy of a Paul Goodacre header sent a frustrated Needham Market packing, at the Brentwood Arena. Goodacre’s early first half header was the difference, despite Needham having a second half goal disallowed as, Brentwood gained their third home league win in their last four. Dean Holdsworth made three changes to the side which won in the FA Cup at the weekend as Sam Lechmere, Tom Richardson and Philip Anderson were replaced by Leon Fisher, Liam Hope and Paul Goodacre. Brentwood took the lead just eight minutes in from a corner as, Mitch Hahn’s whipped in ball was met with a bullet header inside the six yard box, from the unmarked Goodacre. Needham responded as, Brentwood were caught short at the back due to an injury to Leon Fisher further up the pitch. Luke Ingram then had space on the counter attack outside the box but his shot was well saved down low to Martyn Guest’s near post. Brentwood nearly doubled their lead as Fisher’s cross was guided goalwards by Jamie Guy as the rushing keeper Daniel Gay miss-judged his collection, but his header went wide of the empty net. ‘The Blues’ continued their dominance of the half as, Nicky Symons played a through ball for Fisher who twisted and turned inside the box before his eventual shot was saved by Gay. In the second half, Brentwood sat off Needham as they piled forward for the equaliser as Michael Brothers’ long throw fell to Sam Newson to shoot, which was blocked by Ryan O’Rawe from getting on target. Needham were disallowed an equaliser 69 minutes in as a high lofted cross was headed in by Newson but the referee deemed it to be a foul on Guest, to relieve the pressure. Brentwood frustrated Needham in the closing stage and slowed down the game, to hold off the late surge from Needham as, Brentwood held on for the three points as they remain 15th. 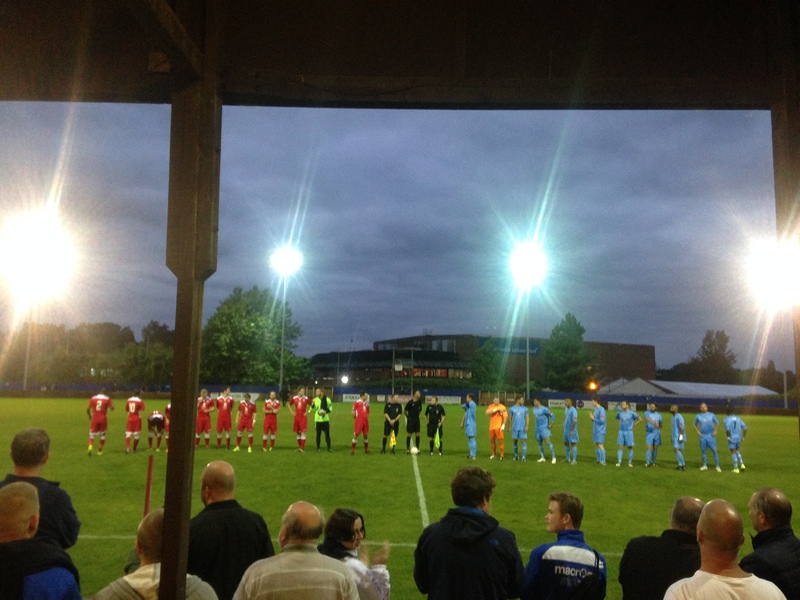 This entry was posted in Football, Sport and tagged Brentwood, Brentwood Centre, Brentwood Town, Brentwood Town vs Needham Market, Needham Market, Ryman League, Ryman League Premier. Essex Premier breeze into the finals of the new Inter County Team Knockout Cup after victory in their regional qualifier, at the Regal Centre in Oxfordshire. Newly elected Essex manager Adam Sultana brought back four former county players into the side with returns for Alan Jones, Dave Wooller, Chris Coates and Craig Burgess. Surrey and Northampton got proceedings underway as they faced off in the first session, which saw Surrey defeat Northampton by 14 shots over the four rinks, to put them in the driving seat. Essex then came up against former ICC group rivals Northampton after their surprising loss to Surrey. Mo Bintead, Phil Banner, Alan Jones and Dave Wooller held the steady Northampton four at 10-10, on a tricky rink to keep the scores tight. Sultana’s quartet – Del Coates, Linda Lambert, Mitchell Young had an up and down contest but just edged clear against tough backend opposition in Chris Hopkins and Lee Hall, with a 12-10 victory, to give Essex a two shot overall lead. The Essex manager also gave a county premier debut to Greg Wade who joined Barry Hedges’ experienced rink with Peter Fautley and Chris Coates but lost narrowly 10-8 to Edward Sawbridges’ four. The standout four of the session which was the difference between the sides was Babs Morokutti, Steve Killington, Anthony Fautley and Craig Burgess who strode to a 20-7 victory against a youthful Northants team. Which secured the overall win for Essex by 13 shots, the two points and their place in the finals as Northampton had an early exit from the competition. Essex then faced Surrey to decide the winner of the qualifier. Essex began slightly flat compared to the previous game but kicked on in the final quarter of the match as Coates (senior), Lambert, Young and Sultana finished first to open up an early nine shot lead with a 14-5 win. Binstead, Banner, Jones and Wooller also found some fortune which turned into shots as they extended Essex’s advantage with a 13-7 victory. Hedges’ quartet – Fautley (Senior), Racheal Cordy and Coates (Junior) continued the momentum with an 11-8 win, to almost guarantee the overall victory with an 18 shot lead. The final rink to finish which took the sting out of their opening performance Morokutti, Killington, Fautley (Junior) and Burgess fell to a 13-7 loss, as Essex finished with an overall 12 shot victory. Essex topped the qualifier with 4 points +25 shots, Surrey in second with 2 points +2 shots and Northampton in third with 0 points -27 shots. Surrey will now join Essex in the final which will take place at the end of January with the other six counties from their regional qualifiers. This entry was posted in Short Mat Bowls, Sport and tagged bowls, Chris Coates, Essex short mat bowls, Northampton short mat bowls, short mat bowls, Surrey Short Mat Bowls. 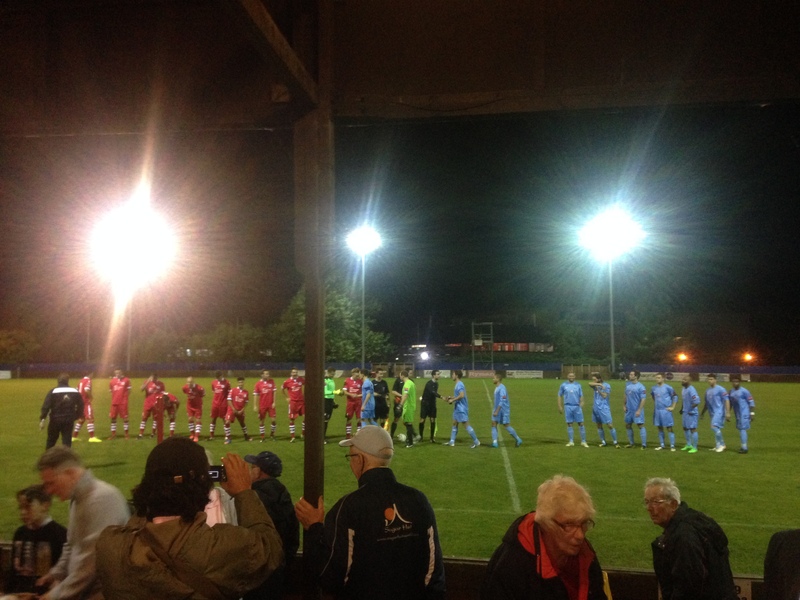 Brentwood Town progress to the FA Cup third qualifying round after a 3-1 home victory against Croydon FC, at the Arena. Shad Ngandu opened Brentwood’s account for his third goal of the season with a simple tap in from Mitch Hahn’s saved header. Hahn grabbed a superb second goal for ‘The Blues’ for his third cup goal of the campaign with a volley on the edge of the box. Jamie Guy gave Brentwood a healthy 3-0 lead as he tucked his low shot in from inside the box. Croydon replied shortly after as left back Jamelle Hudson burst forward to slot in. Brentwood made two changes to their side that lost 2-0 away to Leiston midweek as, Liam Hope and Robbie Rees were shifted to the bench as Sam Lechmere and Tom Richardson both start. The home side took an early lead with the first shot on goal seven minutes in as, Jamie Guy’s cross was met by Mitch Hahn at the far post – which was saved but Ngandu reacted first to the rebound to scramble the ball in. Croydon threatened through Tristan Toney as he received the ball with his back to goal turned and his shot had to be palmed over the bar by Martyn Guest, to deny the visitors. ‘The Blues’ had another opportunity as Guy down the left flank got to the by-line, cut back inside and selfishly took the shot – which was held by Dan Carpanini at his near post, despite other options on the edge of the box. Brentwood doubled their lead just on the half hour mark as, Sam Lechmere beat his man down the left and cut it to the edge of the box for Hahn to hit a sweetly struck volley into the bottom corner. Just before the break, a long hit cross came to Hahn he was given time to whip in a cross which Richardson got his head on but went narrowly wide of the far post. In the second half, Brentwood extended their lead eight minutes in as Guy was given the ball just outside the box, got the ball out his feet and tucked it inside the near post. Croydon got a goal back just four minutes later, after Brentwood gave the ball away cheaply and Hudson capitalised and burst on goal and tucked it beyond Guest. Despite the visitors second half pressure Brentwood saw out the game to progress to the next round, with the draw taking place Monday afternoon. 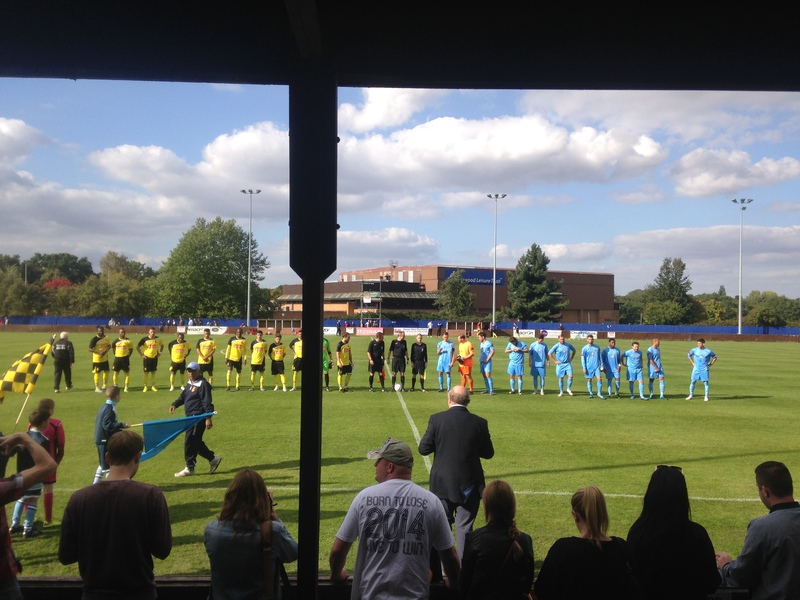 This entry was posted in Football, Sport and tagged Brentwood, Brentwood Town, Brentwood Town vs Croydon, Croydon, Croydon FC, FA, FA Cup, Mitch Hahn, Sam Lechmere, Tom Richardson. Brentwood Town could not maintain their recent home form, with a 1-0 defeat at home to the in-form Tonbridge Angels at the Brentwood Arena. Laurence Ball’s first half header was the only difference between the two sides despite Brentwood’s second half surge for an equaliser. Tonbridge had a glorious chance within the first four minutes, as a whipped in cross was met by Luke Blewden whose touch was poor inside the six-yard box. Brentwood’s first attack came through Mitch Hahn, as he cut the ball back to Shad Ngandu who used his turn of pace across the box – to got a shot off which was well-held by the Canadian keeper Anthony Di Bernardo. Tonbridge took the lead 18 minutes in as a corner from Nick Wheeler was not dealt with at the far post and was knocked back into the six-yard box for Ball to nod into the top corner. ‘The Blues’ almost responded as a ball into the area was half cleared to the edge of the box for Captain Martyn Stokes to hit a fierce volley, which came back off the inside of the crossbar. The visitors nearly doubled their lead just before the break as a Lee Carey’s cross was glanced goalwards by Ball but was parried away for a corner. Brentwood could have equalised four minutes into the second half as Liam Hope chased down a loose ball, won it off the defender and squared the ball to the oncoming Shad Ngandu who scuffed his shot wide. Hahn won a 50/50 ball in the ‘Angels’ half and laid the ball off to Jamie Guy to strike which was sliced wide. 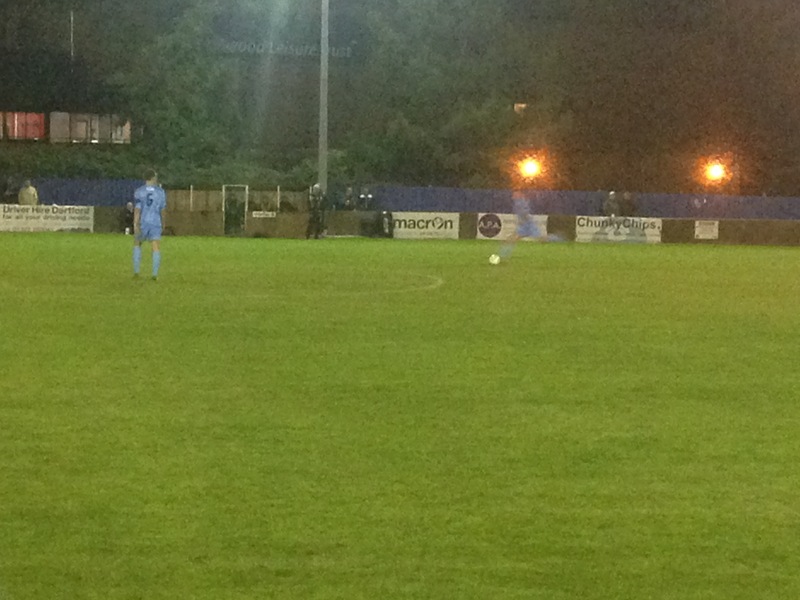 Tonbridge could have sealed the three points, after a great individual run by Wheeler was cut back to Tom Parkinson. His shot was heading in but for Nicky Symons’ desperate flicked was turned onto the post – the follow-up was blocked and scrambled away by the Brentwood defence. Brentwood nearly levelled with three minutes remaining, as Hahn’s corner floated to the far post fell to substitute and new signing Philip Anderson, to blast straight into the Tonbridge defender. The home side could not muster another chance in injury time as Tonbridge took all three points, as Brentwood slip to 18th. 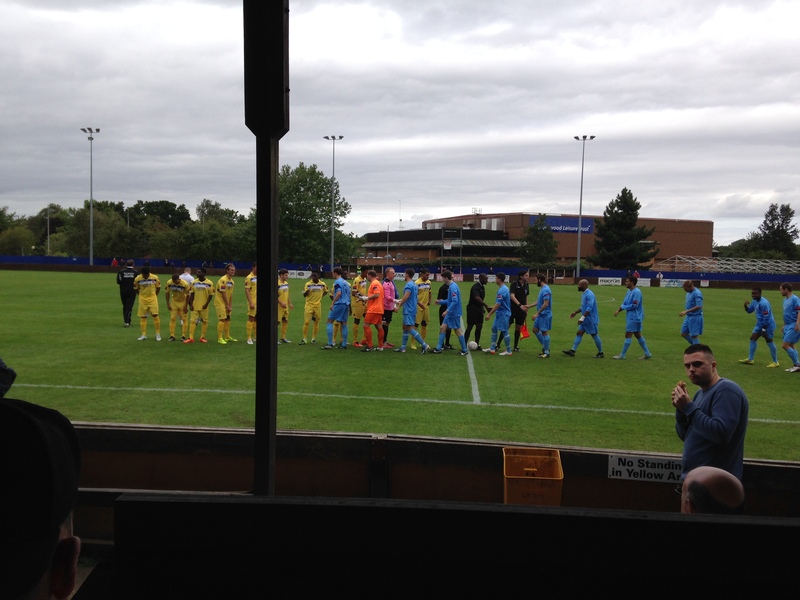 This entry was posted in Football, Sport and tagged Brentwood, Brentwood Town, Brentwood Town vs Tonbridge Angels, Ryman League, Ryman League Premier, Ryman Premier, Tonbridge Angels. Liam Hope’s hat-trick, stormed Brentwood Town to a 7-0 drubbing against Staines Town to equal the biggest victory of the season in the Ryman Premier at the Brentwood Arena against Staines Town. Hope’s hat-trick came with two from the spot and his third late in the second half. New striker Jamie Guy added another two goals to his account with four goals in three games. A goal for both Brentwood’s centre backs Ryan O’Rawe and Captain Martyn Stokes completed the goal rout. The first real opportunity for either side came half hour in as Leon Fisher cut the ball into Liam Hope whose shot on the turn was blocked by Jack Turner in the Staines goal. Brentwood took the lead from the resulting attack as Mitch Hahn’s deep corner was headed back across goal by Hope and came off the bar, to be poked in by Guy. The referee awarded the home side a penalty four minutes later for dangerous play with a high foot by the Staines defender inside the box. Hope stepped up for ‘The Blues’ to double their lead as he sent the keeper the wrong way, as his shot from the spot went in off the post. In the second half, just before the hour mark Guy did some good hold up play by the corner flag, took on his man and his low cross caused captain Joe O’Cearuill to bring down the on-running Hope, as the referee pointed straight to the spot. Hope stepped up for his second spot kick and fired it in despite a strong hand from Jack Turner. Mitch Hahn’s long throw was used to good effect as the Staines defence switched off and Guy received the ball jinked inside the box, got his shot off which deflected in. Hahn’s arrowed throw was used again as Ryan O’Rawe got the slightest of touches to evade the on rushing Turner, for Brentwood’s fifth. Brentwood continued to go forward and grabbed a sixth as captain Martyn Stokes got in on the action as he flicked home a glancing header at the far post. Hope got his deserved hat-trick with four minutes to go as Shad Ngandu’s long range shot was blocked into the path of Hope to slot into the bottom left corner. Ngandu almost made it eight as substitute Jordan Holdsworth burst down the left and squared it to the unmarked Ngandu who cut back inside and bent his shot which came back off the post, as Brentwood strolled to three points. 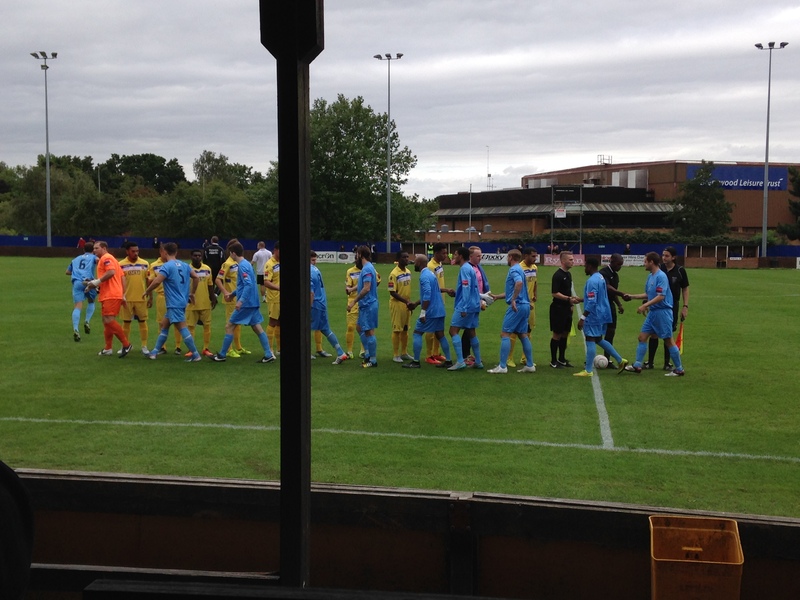 This entry was posted in Football, Sport and tagged Brentwood, Brentwood Town, Brentwood Town vs Staines Town, Ryman League, Ryman League Premier, Ryman Premier, Staines Town.